A religious leader prayed, “Lord, I thank you that I am not like these other people” (Luke 18:11). He went on to enumerate some of the ways he was unlike others. He was not “greedy, dishonest, or an adulterer.” Those are certainly undesirable qualities and it is alright to express gratitude to God for enabling you to avoid such practices. But the Pharisee’s prayer was one of arrogance, not humility. Most likely if you are reading this you can rightfully acknowledge good qualities that you possess and point to behavior that is honorable. With God’s help you have avoided some of the undesirable conduct and destructive attitudes that can be observed in others. But if we are honest with ourselves we recognize that we are no better than any other human being regardless of who we are or what traits we exhibit. It is a good thing to give thanks for God’s help in shaping our character but arrogance is never appropriate. 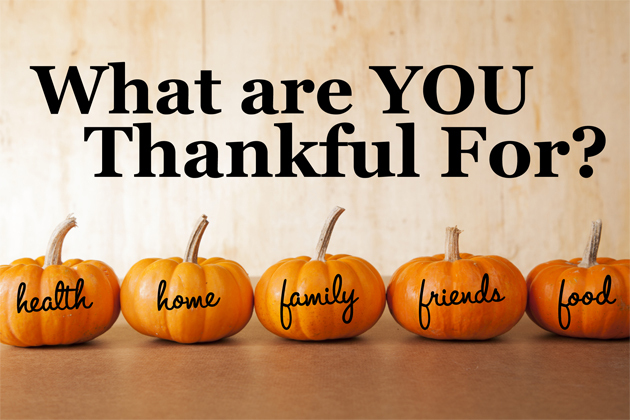 During this holiday many of us will also pause to give thanks for the things we have that enrich our living. We know that “Every good gift … comes from heaven; it comes down from God, the Creator” (James 1:17, Good News Translation). It is right and a good thing to give thanks to our Heavenly Father for all of our blessings. At the same time we express our gratitude to God for the many things that enrich our living, let us be mindful of others who are not so fortunate. Whether it is good health or possessions or privilege, there are many other equally deserving people who lack those things for which we are thankful. Our thanksgiving should produce humility in us as we realize how blessed we are and lead us to discover how we can share our abundance. On this Thanksgiving Day (and every day) “It is a good thing to give thanks to God, to proclaim God’s constant love every morning and God’s faithfulness every night.” (Psalm 92:1-2). After many months of extremely confrontational and extravagantly expensive campaigning, Donald Trump was elected yesterday to be the 45th President of the United States. The presidential campaign lasted almost two years. During that time pollsters provided much information and political pundits made their projections but now all speculation has ended. Promises have been made. Accusations and insinuations have flowed freely. Now the nation has made its decision. I am sure that many people are ecstatic and many others are disappointed. What are we to do now? If “our” candidate won or lost the election, the response needs to be the same. We need to come together to make the most of the decision. The outcome of this election was determined by the person who got the most votes. Majority rules in a democratic society. That does not mean the majority is always right. The winning vote is not always an indication that the achieved results are the best. Regardless, the need now is to come together in unity around common goals and work for the common good of all people. Courage and self-control lead to unity. The moment calls for people who will be bold enough to maintain a strong presence while exercising self-control in interactions with others of differing ideas. Martin Luther King, Jr. reminded us that “unity has never meant uniformity.” In other words, we don’t have to give up our deeply held beliefs and march in lock step in order to be unified. Lord, help us to act and speak in ways that build up each other. The Mirriam-Webster dictionary defines love as “a feeling of strong or constant affection for a person” but the word is often used in ways that has caused the real meaning to be lost. Rather than an expression of affection, the word is commonly used to indicate taste or enjoyment or as a synonym for lust and passion. I love ice cream. I love my new car. I love the Atlanta Braves- even when they lose. I love spring time. I love to travel. These and other uses of the word love has diminished its significance. OK, so we are to love one another but what does that mean? What is “love?” An extensive definition is given in the Apostle Paul’s first letter to the Church in Corinth (I Corinthians 13). He presents a long list of the qualities and characteristics of love. He sets an extremely high bar when he says that love is more powerful than faith or hope. Among other things, I have come to understand that one significant characteristic of love is understanding acceptance. Understand and acceptance. A woman who had been caught in the act of adultery was brought before Jesus. Her accusers reminded him that their law called for her to be killed by stoning and they asked his opinion of what they should do with her. Jesus understood the woman and accepted her as she was. That does not mean that he agreed with her actions or approved of her conduct. He loved her as she was even though he encouraged her to change her ways. It is important to note that love and “like” are not the same. I had a college roommate who irritated me with his music and his insensitivity to others. His attitudes and actions made it difficult to like him. However, as I learned about the difficult circumstances of his life I understood him, accepted him as he was, and learned to love him. I am grateful that God does not wait for me to be “acceptable” before He loves me. I am glad that God loves me not because of what I do or think but in spite of my thoughts, words, and deeds. I pray that I will be able to love others like God loves me.